Aloha necklace – Super cute paired with the other necklace or cute on it’s own, giving me the summer vibes ‘ALOHA!’. Pineapple necklace – My favorite for sure! Love this pineapple necklace, I’ve been wearing it almost everyday this week! Watermelon earrings – These are adorable little summer studs. 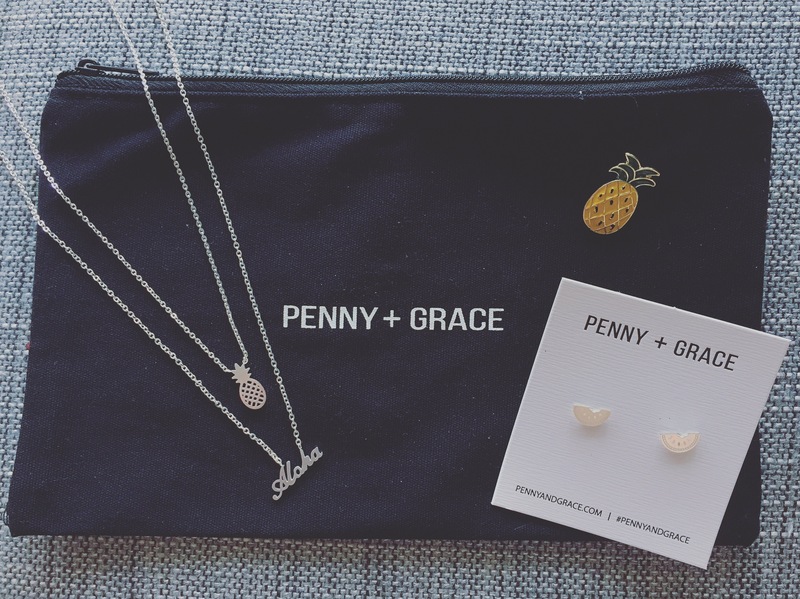 BONUS – Zipbag and pineapple enamel pin – Super cute pin, and convenient bag for travelling or a little makeup bag!